The principles for shaping a corporation’s image have changed. This is having a significant impact in a number of areas, especially in crafting corporate identities. – loss of credibility of corporations and institutions in what they say. – increased skepticism of messages we receive from companies, whether we are an employee, consumer or customer. – continuing overpromise by brands. We have had too many personal and professional experiences dealing with quality or customer service to be fooled by hollow promises. There are triggers everywhere that force us to keep up our antennae so that we don’t get burned. As a consequence, a corporation’s identity becomes a beacon and a primary element of communication that sets expectations that can either build or erode the image a company. Given the new reality, there are several important shifts that top management must consider in either creating a new identity or evaluating an existing one. By understanding the new “rules”, a company can evolve it’s identity to attract new customers, strengthen existing relationships, galvanize and excite employees and ultimately signal the vision of the organization. For the most part, flashy identities will be out. All audiences will give greater scrutiny to understanding the linkage of a corporation’s identity to what the company is, what it does, and where it is going. Identities that once strived to be highly promotional will be pulled back by a drive to be more truthful and clear about what they represent. 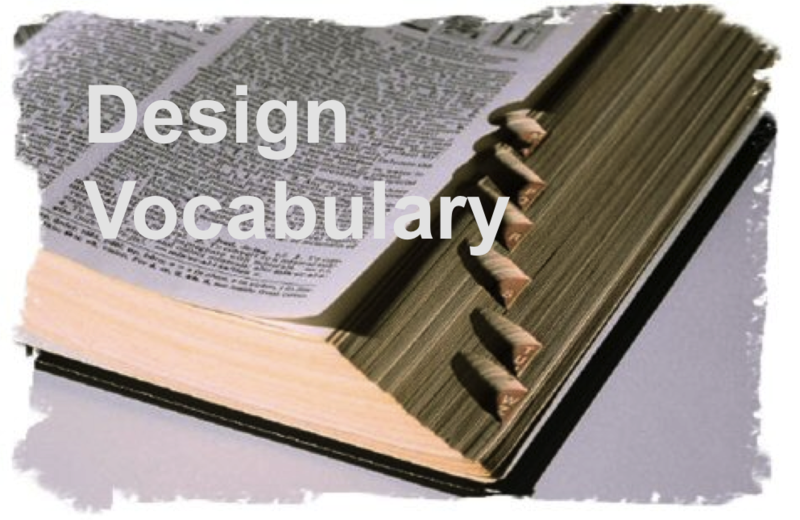 Return to traditional design idioms. It is normal in difficult times to retrench and return to what we know and are comfortable with. We see this in many areas of society, from fashion to entertainment to family reconnections. As we naturally drive to more comfortable idioms, there will be an evolution towards corporate identities that are more traditional. The mandate will be to design identities that push the envelope, but at the same time don’t scare away important audiences by implying more than they are. This is a sophisticated design challenge. Identities will be more functional and less aspirational. For the past few decades, there have been corporate identities that have had interesting new symbols that were vague and sometimes abstract. This will change. Logos will need to focus on more functional aspects of what a company does or provides. They will be less abstract (where many things can be read into their meaning), and be much clearer in their communication of core brand attributes. Post design research should be used to measure playback of key attributes and confirm design concepts. While some designers may feel constrained, employees and customers will be more accepting of logos and symbols more closely tied to functional aspects of the brand. Tonality of identities will be more transparent and honest. Because of what has happened within the financial and business community, there is a drive towards all communications being more open, clear and transparent. This will also impact corporate identities. Some existing identities will need to be updated to reflect a more transparent relationship with primary audiences. Others will recognize the need to start with a clean canvass and project a new image. But in all cases there will be a shift away from ominous, powerful and secretive identities. This also means that traditional corporate colors will prevail, especially blue, but tones will be warmer. Blue has been the predominant corporate color for the past century. It is a cool color, non-committal, non-emotional and often seen as steady and sure. Blue will remain a color of choice, but the tones of blue will become warmer and much more approachable. This is not to say that other colors are not viable. Of course they are. But we will see a trend towards a palette of warmer and more vibrant colors that will engage and not distance important audiences. Push towards identities that don’t have symbols and rely on a unique typeface to make them distinguishing. The human mind sees colors, shapes and then words. Symbols have been a clear method of giving additional meaning to a corporation’s name, and also greater visibility. At the same time, some companies have been moving towards using interesting type faces as a distinguishing mark. We believe that in this era of transparency, some companies will challenge the need for symbols, and explore the use of unique, clear and forceful typefaces as their primary identity. Identity design will become more optimistic. As we pull out of a difficult economic cycle, successful identities will also have an aspect of optimism and hope within their construction. Whether a creative mandate or simply an intuitive reaction to the past few years, identities of strong businesses will instinctively be more positive-looking than we have seen in the past decades. This will appeal to both internal audiences who must “live the brand”, as well as customers looking for “rays of hope”. Digital reproduction will drive design choices. All audiences will increasingly receive information digitally. This will span everything from email to web opportunities, television, mobile apps, digital reading and new technology delivery systems not yet introduced. So a technical burden on corporate identities will be on digital reproduction. Small “app” buttons on a hand-held device will become a new way to evaluate corporate identities. And as social networking continues to grow as a collective communications channel, digital reproduction will become a primary medium. If we could sum up where corporate identities are headed, they will be: real and not perfect, authentic and true, and uncomplicated and clear. They will be more friendly and approachable. When we see an identity, we should have a pretty good idea about what the company is and does.